This is the first recipe that I have made during my cookbook challenge, and it was very tasty. The day I made it, Jess wasn't feeling well and she didn't have the best opinion of it She did like the leftovers so I will probably be making it again in the future so she can taste the bubbly fresh goodness that is this mac n cheese. Guess what is for dinner and lunch tomorrow? Add 1 Tbsp of salt and the noodles to the boiling water and cook for 8 to 10 minutes. Drain the water from the noodles and set them aside. While the pasta is cooking, heat the half-and-half in a sauce pan. Reamove the half-and-half from the heat and let sit for 5 minutes. While the half-and-half is cooling, whisk the eggs in a bowl. Whisk 2 cups of half-and-half into the eggs and then pour this mixture back into the sauce pan with the remaining half-and-half. Stir 1 cup each of cheddar, mozzarella, Monterey Jack, Velveeta, Parmigiano-Reggiano, and the milk into the sauce pan. Heat over medium-low heat and constantly stir until the cheese mixture is completely melted and smooth. Mix in dry mustard, garlic powder, onion powder, paprika and pepper. 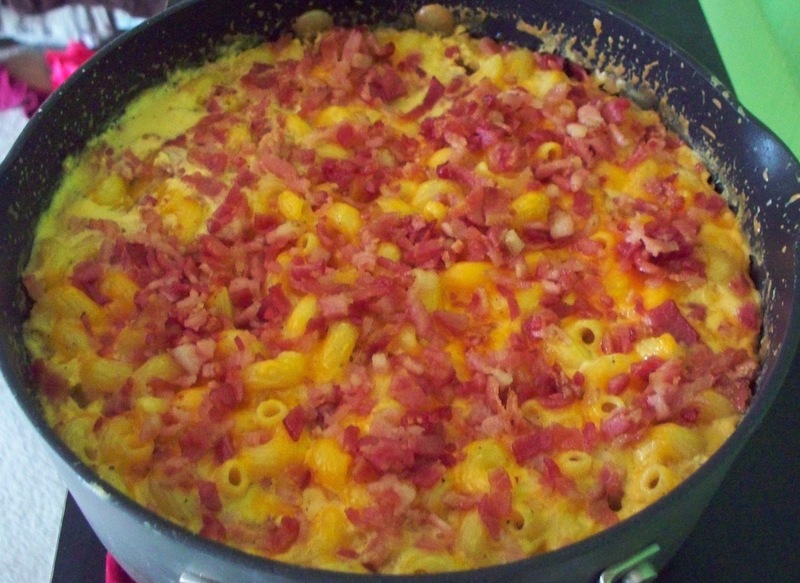 Mix the pasta and the cheese mixture in an oven-safe baking dish. 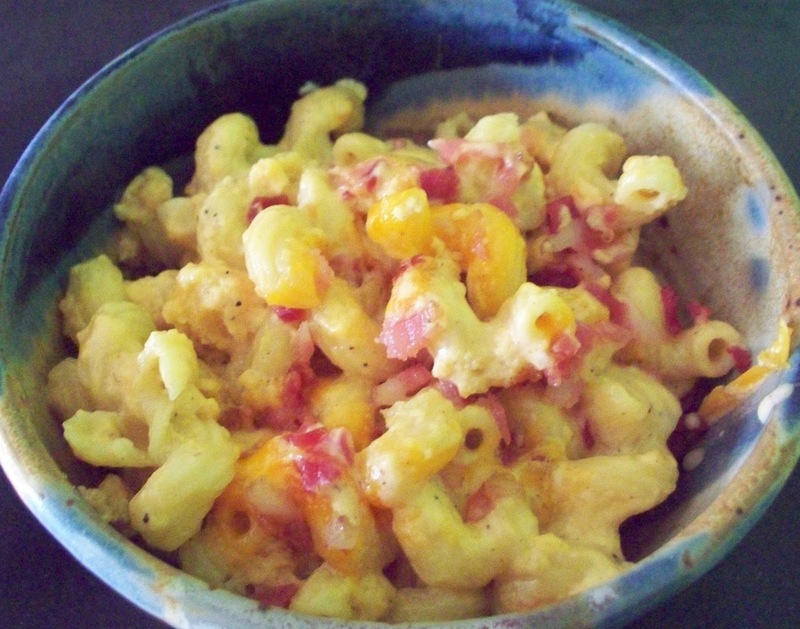 Sprinkle remaining cheddar cheese over the mac n cheese and bake for 20 minutes. Sprinkle on the bacon crumbles and bake for 10 minutes.